Can you imagine? 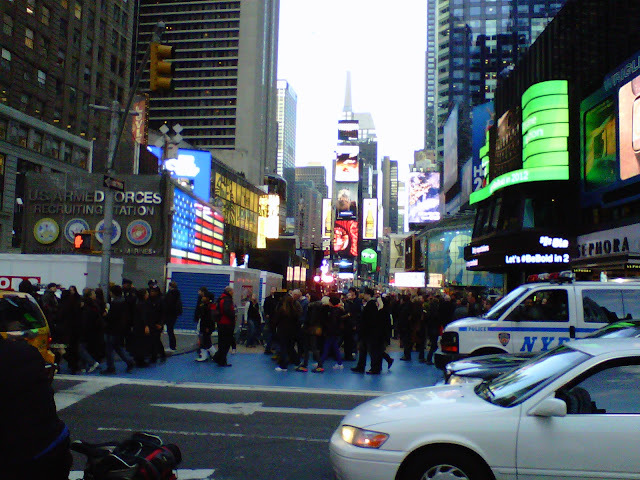 I was there today and it was so CROWDED! So my aunt asked me to go to the city to buy something for her son. I went to 2nd avenue and there were just a few people out there. 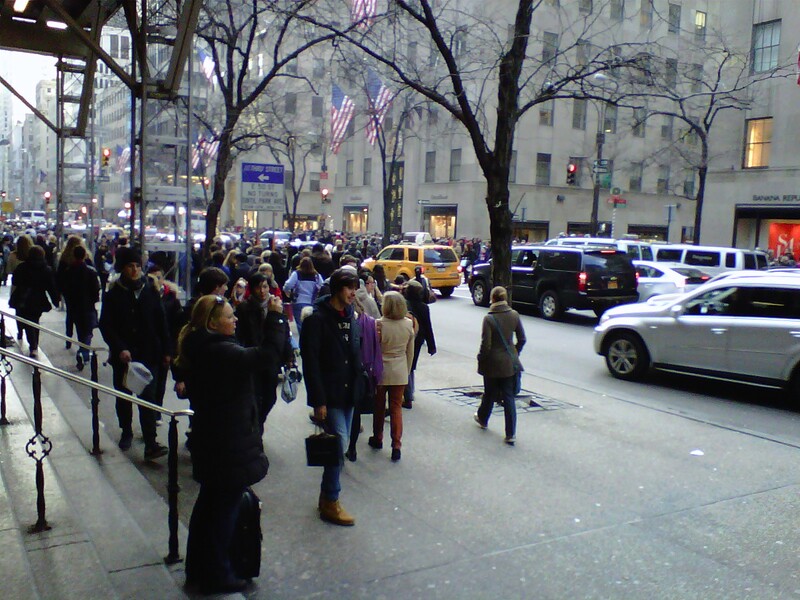 After that I went straight to 5th avenue and I was pretty much surprised that it was jam-packed with people!I was so upset because I couldn't move that much and everyone was bumping each other! I just wanted to drop by St. Patrick's Cathedral to pray for awhile but because there were 1000+ people inside and I couldn't stay long, I decided to walk to Forever 21 in Times Square. I took photos along the way. Check out these snapshots from my DSLR and Blackberry. yes, Forever 21 at Times Square has 4 floors! 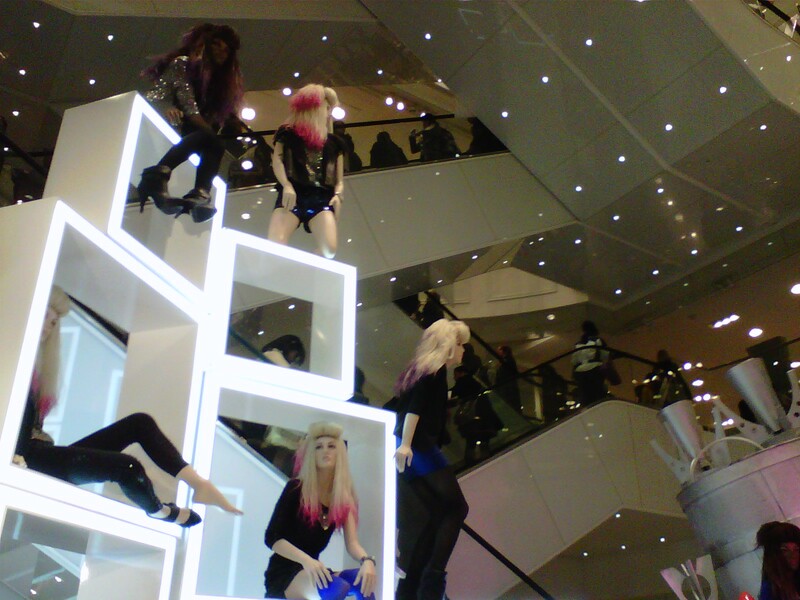 from ground level to underground! haha! 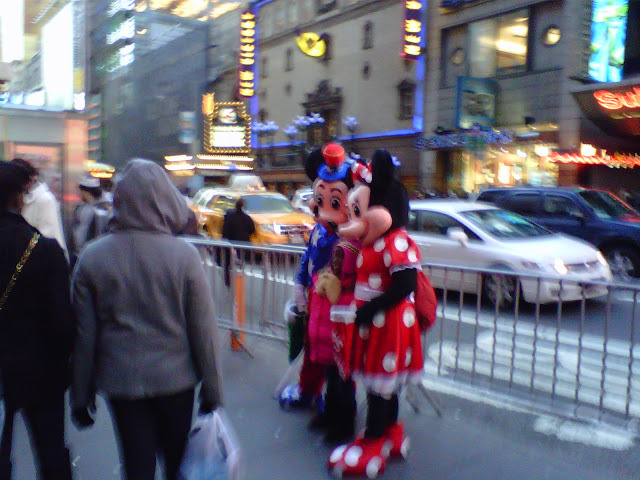 I saw Minnie and Mickey Mouse! 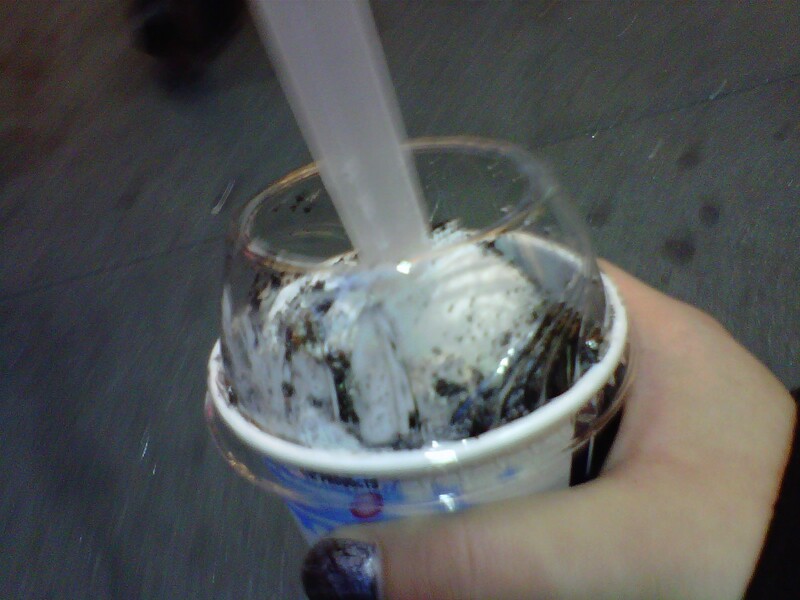 My McFlurry Oreo on my way home! That's it for now guys! Have a Happy New Year! Kisses from Moscow, Happy New Year! Oreo mcflurry is my favorite! And wow,I'd love to go there someday.. It's so cool to read that you were in those places I only read in books and watch on tv.. Anyway thanks for visiting my blog. Following you now! Follow me too? Happy new year!